Parenting is challenging. We’ve all scrambled to soothe a screaming baby or toddler and wished he or she could simply state her needs clearly. Is baby tired, hungry, wet? Does she want to pet the dog? Does she miss Daddy? When babies can clearly communicate needs, we can respond to them accordingly, even if we can’t “fix” the situation—and it doesn’t take a full sentence of signs. An exhausted baby signing that she needs to go to BED a half hour before nap time can save everyone time and tears! As parents, we think in terms of our own schedule, but your baby follows her own internal clock. Signs help you respond to her needs in real-time. In the same way that baby’s signs open a window into her world, your acknowledgement of her “words” encourages her to continue communicating. Babies whose caregivers understand their attempts to communicate are likelier to continue communicating; your baby wants to interact and “talk” with you! 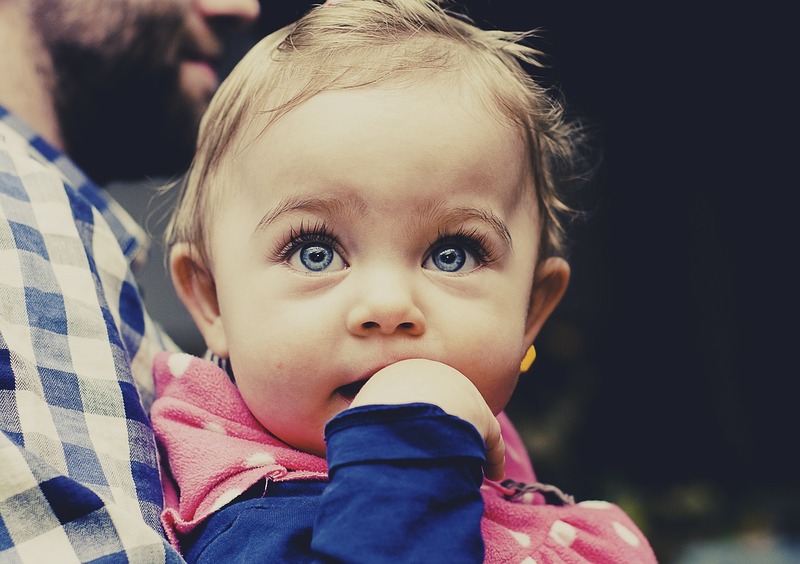 Additionally, families who take Signing Smart tend to talk and read more with their babies, helping establish a conceptual web of language in baby’s brain. Signing while reading books, playing with toys, or doing daily activities helps to further anchor language for your baby, creating a strong foundation for your pre-talker and pre-reader to build upon. Meeting your child’s needs is wonderful. Even more exciting is the ability to experience the world as your baby sees it! Babies notice and delight in “ordinary” things that we usually take for granted or don’t see as “special”. Most of us go through our day relatively unaware of the number of lights all around us. This changes as soon as your baby learns the sign for LIGHT—she will make sure you notice the dome light in the car, the lamp by the changing table, the fluorescent lights at the store, and the wall sconces at the restaurant! The same applies to barking dogs, airplanes, and sirens, all things that we adults have learned to tune out of our busy minds…and then there are HATS!!! This shared experience of the world can be so rewarding for both you and your baby! Signing with your baby enriches your relationship and enlivens the world you share. I am so glad you’ve decided to explore the possibility of signing with your baby! Learn more about Signing Smart play classes here. This entry was posted in language development, meeting baby's needs, News & Announcements, signing with your baby and tagged baby sign, baby sign denver, early language development, pre-reading, sign language for babies, signing smart. Bookmark the permalink.